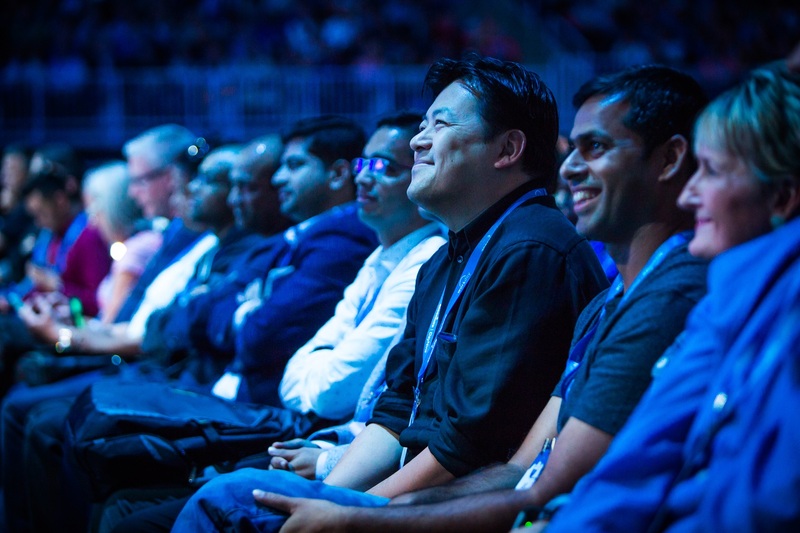 Workday Rising is all about bringing customers together to share stories, learn from each other, and come away ready to take on new challenges. And who better to help kick off this memorable week than Peyton Manning, two-time Super Bowl champion and five-time NFL MVP, and his father Archie Manning, also a former NFL quarterback. The two spoke to attendees about the power of teamwork, collaboration, preparation, and giving back both on the field and in business. Moderated by award-winning journalist and signature ESPN on-air personality Hannah Storm, this keynote made for a dynamic discussion about football and what it can teach you about life. “The most valuable player is the one that makes the most players valuable,” Peyton Manning said. Accountability and respect are two of the fundamental pillars that define great leadership, according to both Mannings. Peyton discussed how his teammates pushed each other to be the best they could be. One of the hardest moments of Peyton’s career was getting injured and giving up his consecutive start streak of 208 games in a row, the second-highest in the NFL. Archie also emphasized the importance of leading by example and described how the number one thing he tried to instill while raising his boys was the importance of earning respect. He knew that if they ever became professional athletes, they would be starting in team huddles as 22 years old alongside 30-something veteran players. The only way to convince those players, as well as coaches and opponents, that they deserved respect was to lead by example. 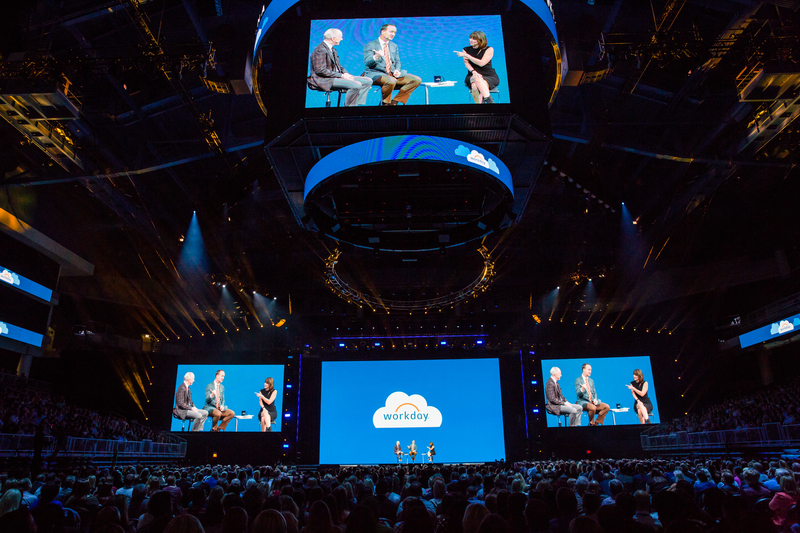 Workday Rising attendees hear stories about teamwork, collaboration, and preparation from the Mannings. According to Peyton, the most important aspect of any successful team is ensuring you have the right chemistry. The key is “selecting players that fit into the culture versus the player that can run the fastest 20-yard dash but doesn’t necessarily gel in the locker room,” Peyton said. Citing an example, he shared that while on the Colts, his team stuck to their strategy and always had each other’s backs, even when digging themselves out of a hole. After patience and hard work, the Colts finished the season with a winning record. Both Mannings closed the keynote by touching on how important community is to the success of one’s career. Peyton shared how having a support system got him through a neck injury that affected his throwing arm. This support system ultimately inspired the Mannings to give back to the community with the Peyback Foundation, which seeks to provide kids some of the same opportunities the Mannings had growing up to help them follow their dreams. Whether it’s on or off the field, many of the lessons the Mannings learned in their careers as professional athletes will resonate with leaders in any industry. Understanding what it takes to be a good leader, responsible contributor, and prepared individual are the building blocks that make up a solid, successful team. The Workday Rising Kickoff Keynote in Chicago with Archie Manning, Peyton Manning, and Hannah Storm.